In many environments, visitors are still asked to enter their information in a paper log book. While this method is perceived as quick and easy, it provides little security and leaves visitor information available for anyone to see. To address these issues, HID Global's EasyLobby® Secure Visitor Management solutions allow organizations to automate the entire process of registering a visitor, printing a badge and capturing detailed information in seconds by simply electronically scanning an ID (such as a driver's license, business card or passport). The solution is flexible, customizable and feature-rich to meet the needs of small and enterprise organizations with diverse visitor management processes and policy requirements. Enhances the professionalism of an organization by streamlining the visitor check-in process and providing high quality badges for all visitors. Improves security by enabling organizations to identify exactly who is in their facilities and the reason why. Allows users to create watch lists and screen against unwanted visitors. Captures detailed visitor information more accurately and distinguishes between different categories of visitors. Performs analysis/reporting on visitor data across multiple locations. Affordable, easy to use and simple to install. 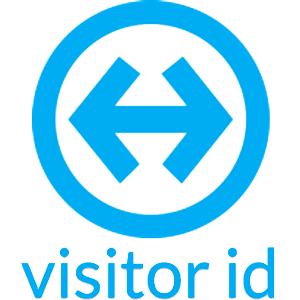 Visitor id is a simple, versatile and incredibly flexible software application for signing visitors and/or personnel in and out of sites and facilities. The main application for processing visitors, including ID scanning, record creation, badge printing, watch list screening, check-in and check-out, and email notification, among other features. The solution improves security by enabling organisations to identify exactly who is in their facilities, while enhancing the professionalism of an organization by streamlining the visitor check-in process and providing high quality visitor badges. A web-based application that enables authorized employees or tenants to quickly and easily pre-register visitors online, before the guest arrives. Using an organisation’s internal intranet or Internet, any or all employees can be granted access to use eAdvance with no training required. The employee simply logs onto eAdvance, which is located onsite, and completes a simple visitor registration form. A family of software products pre-loaded onto handheld wireless devices and are easy to learn and use. These devices can be used in remote locations, or areas without power, to provide the same visitor management security technology deployed in a main facility. They perform fast data capture and check-in with durable handled devices that can withstand tough outdoor locations and conditions. Makes it fast and easy for visitors to register themselves upon arrival at a facility using a tablet computer. Organizations can configure the visitor form on an EasyLobby eKiosk device to include any field they choose. They can also display a PDF or HTML file for visitors to review and acknowledge or to agree to terms. This software is tightly integrated with over 35 of the most popular Access Control systems. The integration allows you to grant temporary card access (or barcode access) to certain visitors or contractors directly from the SVM visitor form at the time of check-in.